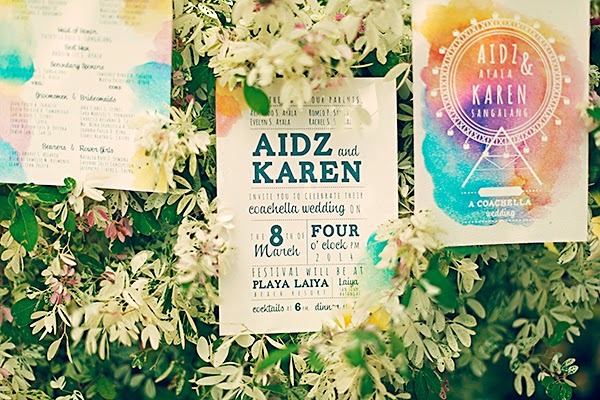 It was easy for Aidz and Karen to decide on their theme. 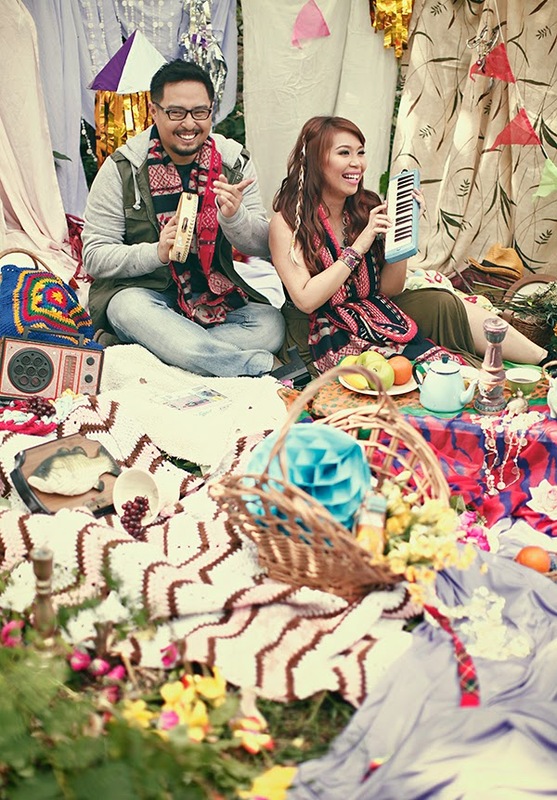 Having been a couple since college, they both knew what they loved most - music and the beach. 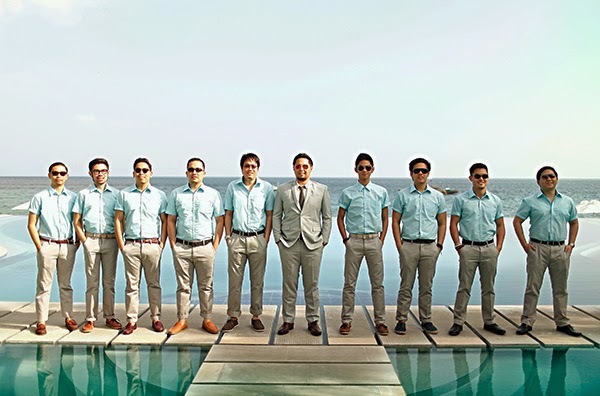 So it was a festival of sorts as they gathered their loved ones and friends by the beach and let them experience a vibrant yet chill wedding celebration. KAREN: We love going to concerts and festivals so what better way to share that experience with our guests than create one by the beach! 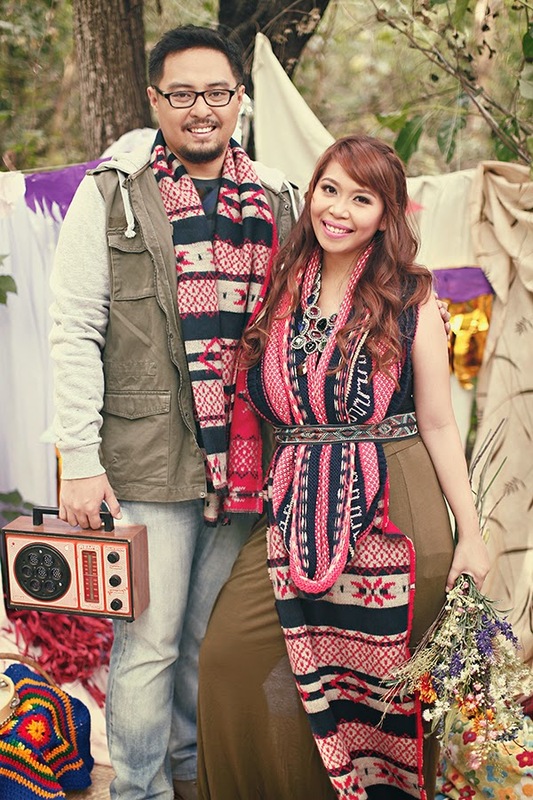 Inspired by Coachella, a lot of our wedding details revolve around music! We had a ferris wheel! What is a Coachella themed event without one?! It was expensive to rent one so we decided to have one made and just decorated it with flowers. We loved it so much that we used it as a backdrop for both the ceremony and reception! All the guests loved it so much too that almost everyone had a photo with it! In Coachella, there are a lot of freedom boards. 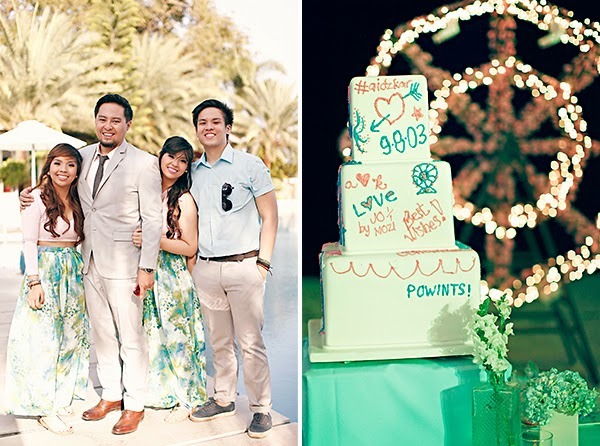 We used our cake as a freedom board where guests can write and do whatever they want with it using colored icings. Invites & Website (www.bubbawedding.com)- We veered away from the usual simple, clean designs and opted for a colorful, watercolor design to go with the boho, festive theme. 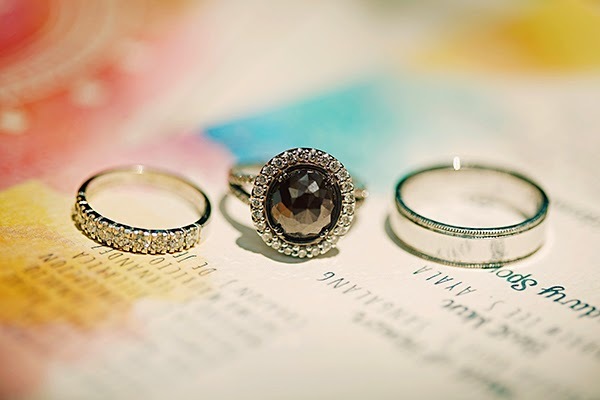 We worked super closely with the suppliers because we believe that the invites and the website are two of the most important touchpoints of our wedding. Table Names - All tables were labeled according to our (all-time/current) favorite artists! Reception Music - We rarely used the band! We only used them during the rockeoke part of the reception, actually. 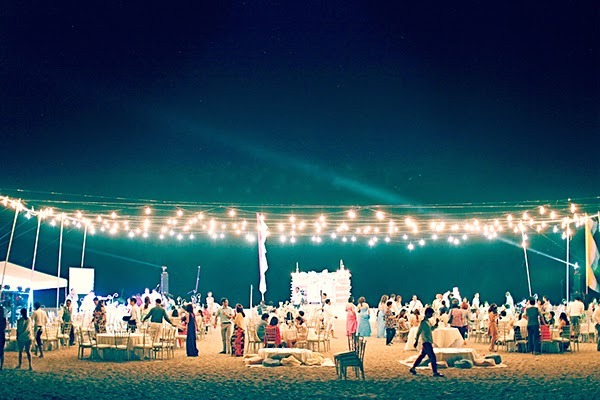 During dinner and that dull time between the ceremony and reception, we played our favorite Coachella performances on the screen to give guests that concert vibe by the beach. Reception Entrance - The whole long table was full of DIY activities! 1. Temporary tattoo area - only because you can get a tattoo at a Coachella event 2. Message board - Guests had to send us their messages / well wishes using song lyrics 3. Table Posts - Song lyrics all written by me! 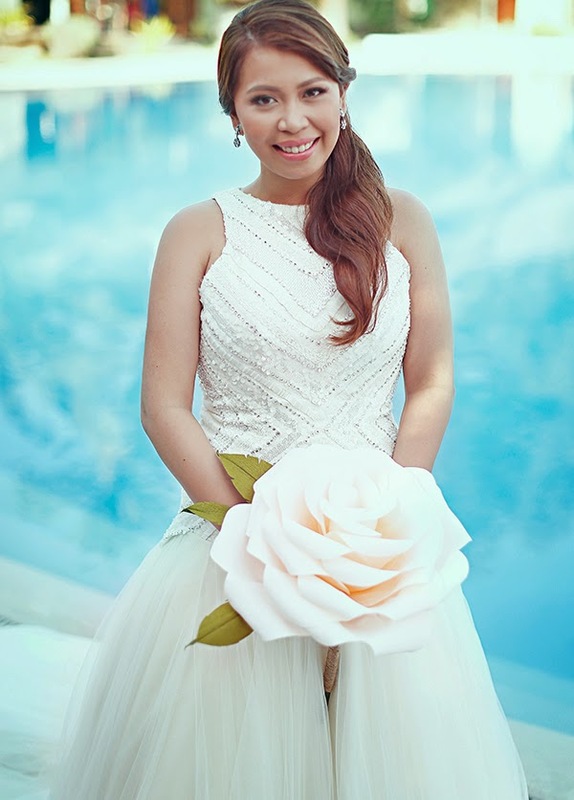 Wedding Gown - I am definitely not a girly girl so I opted for an art deco-inspired beaded gown rather than the usual lace designs. I wanted art-deco so it's still aligned with the art-filled theme of the wedding. 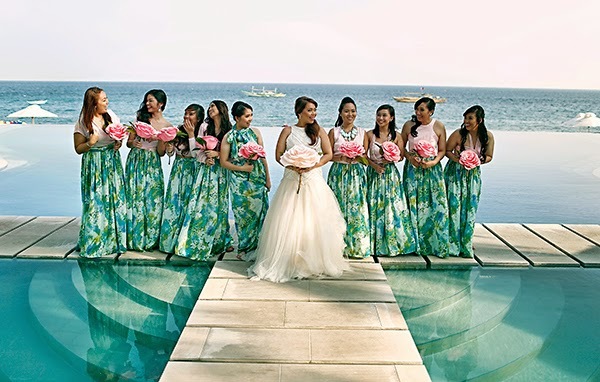 Bridesmaid Dresses - Girls are mostly in printed / floral / boho attires during Coachella that's why we wanted our girls to look similar with printed floral ensembles. Do not be afraid to DIY! I know a lot of brides who think they can't do it that's why they just end up paying a lot of suppliers. 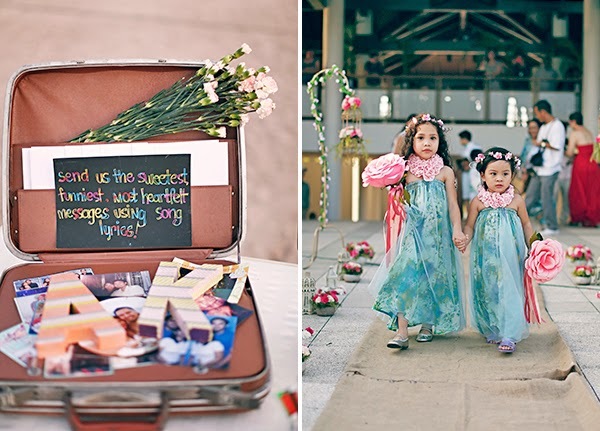 Adding some DIY items to your wedding makes the event more personal and well thought of. Never lose sight of who you are! 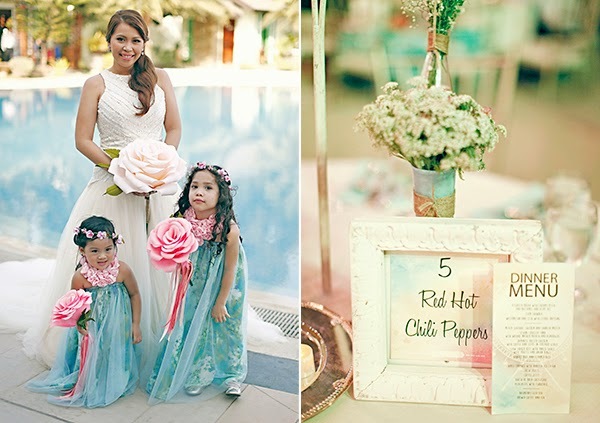 There are so many wedding inspirations, people giving their suggestions (and sometimes mandates! 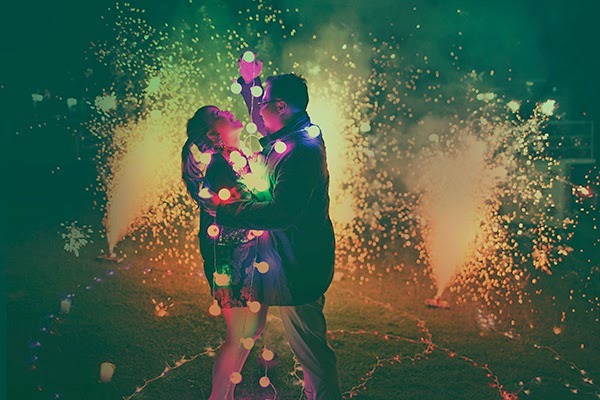 ), and pressure from friends' weddings that you might end up doing a cookie-cutter fancy wedding. At the end of the day, the wedding should be a representation of you and your love for each other. So go ahead and do what your heart desires!